Add some colour to your kitchen while your cooking with a range of colourful pots & pans. Cook's Tools & Gadgets There are 93 products. Juice, cut and score with one tool. Paring knife, channel knife and reamer for juicing. Savour citrus flavour. Paring knife, zester and scorer - this tool does it all. For avocados or potatoes. 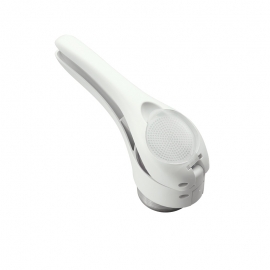 Silicone-coated masher with easy-grip handle. 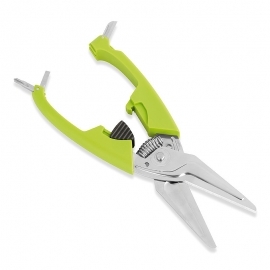 High quality kitchen shears. Regular and Phillips screwdrivers, shears and a box cutter. Locks for safe storage. No more stuck lids! Open threaded caps and lids effortlessly. The handy alternative to large mandolines. 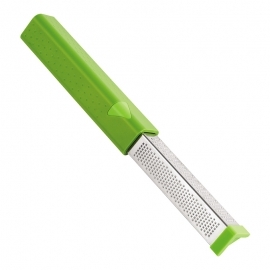 Slice carrots, potatoes, cheese and more with this adjustable, extra sharp, stailess steel blade. 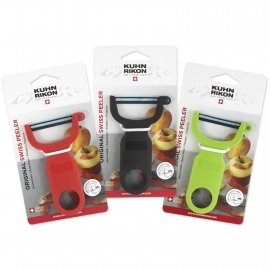 Heavy silicone lid prevents pasta, soups and other dishes from foaming or boiling over your stove top. No more pot watching! 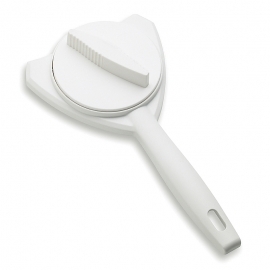 Can also be used as a splatter guard and steamer. Essential for bakers and ice cream lovers. Whips out batches of perfectly-sized drop cookies in no time. 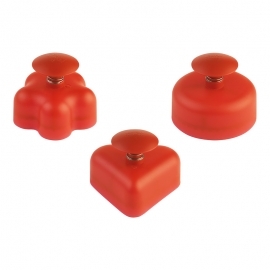 Molded silicone neck lets you gently tap off stuck food. Ergonomic and easy on the hands. 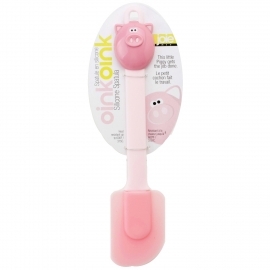 This spatula features a pig face on the handle and is perfect for scraping down bowls and mixing batter. 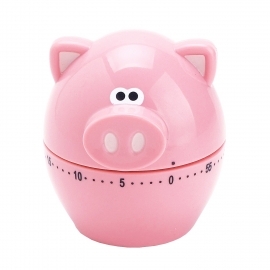 Fun pig shaped mechanical timer. Up to 60 minute countdown. 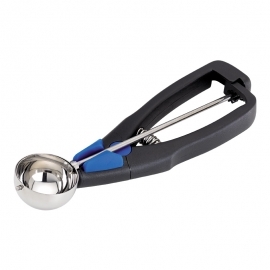 This floating Silicone poacher is eggsactly what you need to make perfectly poached eggs. 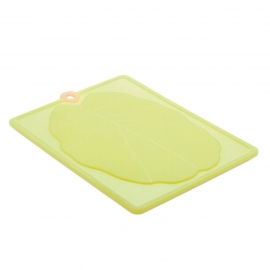 Flexible non-slip silicone chopping board that won't dull your knives even after multiple uses. 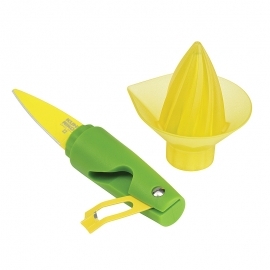 This hygienic, silicone slotted turner is sure to brighten up your kitchen. 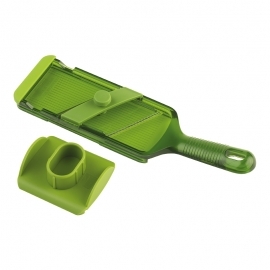 Completely safe for use on non-stick surfaces it is stain resistant, as well as heat resistant to 260°C/500°F. 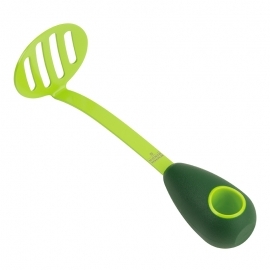 This hygienic, silicone spoon is sure to brighten up your kitchen. 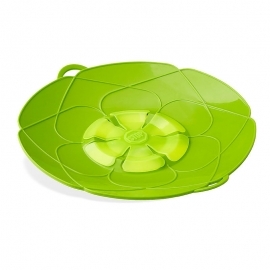 Completely safe for use on non-stick surfaces it is stain resistant, as well as heat resistant to 260°C/500°F. Ready to get cooking? 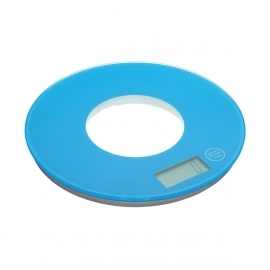 Get your ingredients weighed and measured with contemporary precision and style. These ultra slim glass platform scales with metric and imperial LCD display and worktop protecting non-scratch feet are ideal for use when cooking and baking. 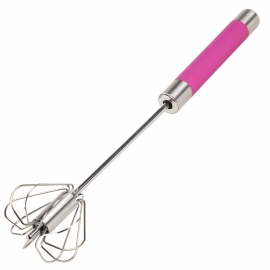 Easy Whisk gives great results with minimum effort. 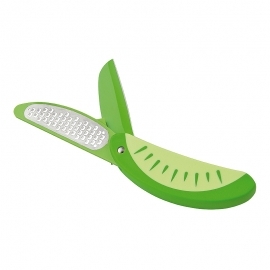 Peel fruits and vegetables effortlessly. This little powerhouse peels better than peelers that cost 3-4 times more. Create the perfect mashed potato. This ricer has powerful jaws that finely mash potatoes in just one squeeze. Comes with a second disk for purees. 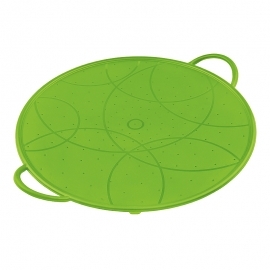 Sturdy, silicone and oven-safe guard is also a strainer and baking sheet. Microwave safe. Fun and easy to use! 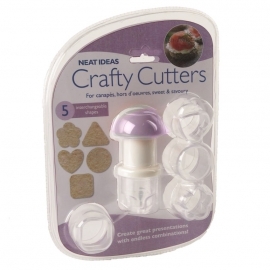 Pocket makers are perfect for creating both sweet and savory meals in fun shapes. Two graters in one! Use one side to grate nuts and citrus and the other for hard cheeses. 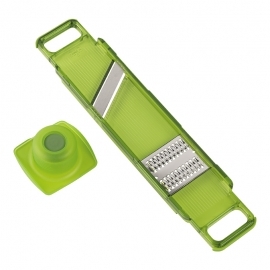 Julienne and slice ginger, garlic, cheese, chocolate and vegetables like a professional using just one tool. 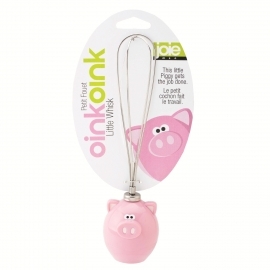 Perfect for whisking a couple eggs for an omelette, the cute, but strong Oink Oink egg whisk is a fun addition to your kitchen tools.